If you’ve been waiting all year for the Pixel 2 and Pixel 2 XL, then our rumor roundup will provide you with a quick briefing on several aspects of both flagships that cover specifications, pricing details and more. Our belief is that these handsets will have to deliver more than just a pure Android interface that offers timely security and software updates, so here are 5 features that we think will give the phones the much-needed edge in a competitive smartphone environment. Thanks to leaked press renders of the Pixel 2 and Pixel 2 XL, we are well aware that both devices will not feature a dual-camera. However, even a single-lens camera can do magic if the right kind of hardware is incorporated. The 2016 lineup managed to score 90 points in DxOMark’s review and that is for camera hardware that only provides support for electronic image stabilization (EIS) and not hardware stabilization (more commonly known as OIS, or optical image stabilization). OIS is far superior to EIS in reducing camera shake when you’re taking images and video so think of the advantages it will give to the user if such hardware was finally present in both phones. LG is working closely with Google in developing the Pixel 2 XL and the Korean tech company pretty much nails the optics of its smartphone family to the point that a Game of Thrones cinematographer had nothing but praise for the LG V30 camera. This collaboration could give Google the competitive edge it needs in the smartphone camera race. In addition, we also feel that adding manual controls to adjust elements like ISO and shutter speed should be present. You never know how much you require these features unless you actually experience these additions in other devices. Having a wider camera aperture will also come in handy when you want to get more from low-light images and video. The bezel-less smartphone trend is real but it comes with its long list of disadvantages. If you want to create an ‘all-screen’ phone, then removing front-firing stereo speakers is going to be important to come close to the near bezel-less limit. Unfortunately, your media consumption experience without using earphones is going to be less than satisfactory. 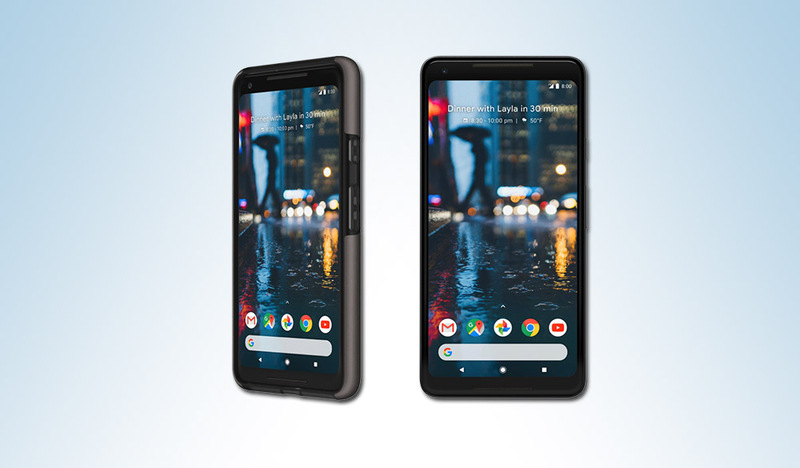 From what we have seen in leaked press renders, both the Pixel and Pixel 2 XL will feature front-facing stereo speakers and that will just add more points to your multimedia experience. The headphone jack while meet its maker eventually, but while we’re living in the present, we expect it to stay and for manufacturers to remove them in an attempt to market the phone’s water-resistance or claim that by using Type-C USB headphones, you’ll experience better sound, that is actually a ‘no no’ in our books. A smartphone should present convenience to the user, not add to their growing list of gripes and dongles. By removing the headphone jack, you will be facing severe backlash from the customer. See, unlike Apple, Google does not have a proprietary port where it can make money through third-party accessory manufacturers so why not just retain this archaic yet highly useful port and let users gain the experience of listening to media while they charge their devices using a portable battery or power brick? Having dual front-firing speakers and no Hi-Fi Quad DAC chip to elevate sound quality? That definitely sounds like a missed opportunity from Google. Working closely with the development team of LG, the tech giant will have lots of resources at its disposal on what to incorporate in its Pixel 2 and Pixel 2 XL. If a 32-bit Hi-Fi Quad DAC is something that cannot be featured, then at least a 24-bit DAC chip at the bare minimum. Google might be taking a feature out of Apple’s book, but with Bose having released its QuietComfort 35 II, which features a dedicated button to call upon Google Assistant, there should also be a seamless way to allow the Pixel 2 and Pixel 2 XL to pair with these peripherals without having to go through those mundane steps in the ‘Settings’ section like we do with our regular handsets. Occasionally, the Bluetooth pairing process is unsuccessful due to ghost errors, and it just blows out time-consuming complications that should not have been present in the first place. Instead, Google can start working on dedicated hardware that will recognize Google Assistant-enabled headphones and connect with them effortlessly to present any unnecessary wastage of time. While there could be several additions present in the Pixel and Pixel 2 XL, we feel that these five features could give the phones the edge they need against the likes of the upcoming iPhone X, and the already released Galaxy Note 8, LG V30, iPhone 8 and the iPhone 8 Plus. What feature do you think should be present in both of these flagships to allure customers to make a purchase? Tell us your thoughts down in the comments.